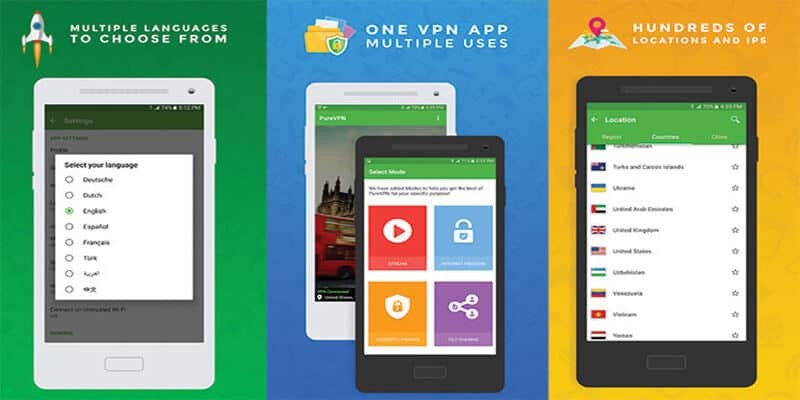 PureVPN Review - Is it the Best VPN Service for Australians? PureVPN has been around for quite a while and has earned a reputation for itself, although not a good one. In this PureVPN review, we’ll take a look at information that was uncovered through research and extensive testing of the PureVPN service. Have they improved since the last time they were reviewed, or are they still the same old service you can find in many other PureVPN reviews. The company promote themselves as one of the best for bypassing geo-blocked content and streaming in general. While testing US Netflix, we found only one out of a handful accessed the streaming site. This was the same for the UK, so if your aiming to access the iPlayer and watch MOTD, you’ll be faced with an error. Hulu and Amazon Prime also fell way short. Torrenting is also an area they aren’t the best. Torrenting is blocked an most of the PureVPN servers. PureVPN has one plan with varying sign-up options, and they do accept a vast range of payment options. This can include credit cards, PayPal, Alipay, PaymentWall, BlueSnap. There are two other options, these being CoinPayments and Gift cards, but, these two are none-refundable. 2 Years $3.54 Billed as $84.95 Every 2 Years. The company advertises a 31-day money back guarantee. From the number of users who complain, this just isn’t happening. Although they have extended their money-back period, it is hard to tell if they are sticking to their excess of 3GB bandwidth or 100 sessions as previously was found in the small print. We did find they asked a reason why we cancelled, but it states no questions asked, so it is wise to say you aren’t answering questions as to why. When you look for options on how to cancel PureVPN, there is only one, and it is all conducted by email. 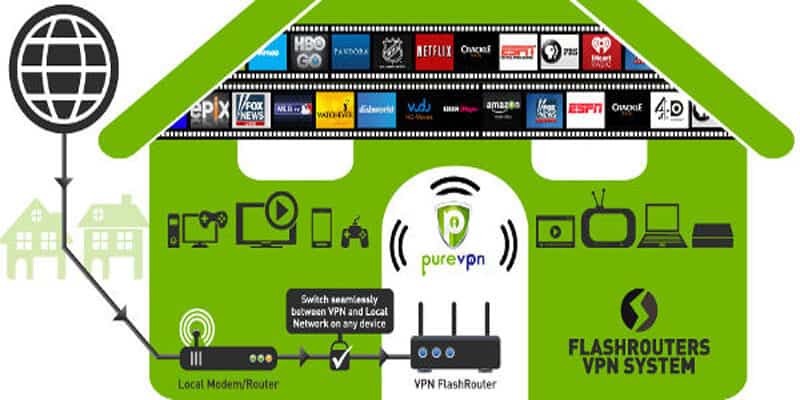 PureVPN has one of the largest global sever networks with over 2000 in 140 countries. Some of the more diverse placements are virtual servers, as is the case for Madagascar, Myanmar and Papua New Guinea. PureVPN doesn’t offer anything in the form of a DNS service. While speaking of DNS, it should be noted there were DNS leaks during testing. Platform support is quite high as you’d expect from a company that has been around for so long. Windows, Mac, Android, iOS, Routers, FireStick and Kodi are all supported. There are 5 devices allowed at one, this is plenty for a household especially if you have a compatible router. This is the one area where a PureVPN download fails. During testing, the client couldn’t connect, and when checking with customer support, their answer was the servers were down and to try later. Further testing showed the client software was saying the IP Address was hidden, but while running ipleak.net, the real IP Address was clearly visible. This equated to leaks in IPv4, IPv6 and DNS leaks. Following on from this, their Kill switch appeared to be broken and wasn’t working as it should. PureVPN claims these leaks have been fixed, although these can’t be confirmed as being 100% reliable. To top all of this, PureVPN claims to have a Zero Logging Policy, where in fact, they log connections for troubleshooting. This could be feasible, but in October last year, they helped to apprehend a Cyberstalker. Aside from this, there was also an official report from the US Department of Justice which stated how PureVPN assisted them in logging user data and offering it to the FBI. This is easy, all you need to do is visit their website and click on the pricing button, and you are taken to the payment page where you can create your account. There are add-ons, but these don’t work and are perhaps just another means of getting more money. There is a step by step progress bar, and one step is not explained all that well. You will receive 2-keys, one for the download VPN you have just completed, and one for the website, and in your confirmation email, you only receive the key for the client. For the site, you need to manually request a password reset. When making your PureVPN login, you are presented with a basic UI, and although the colour and Icons are different, it is very similar in layout to Cyberghost. Even if they have copied this design, and it goes into the menus also, it isn’t a perfect clone. The text is hard to read, and it doesn’t scale if you change the window size. Changing servers needs to be done by country because they have some very obscure city names. Once set up, you are presented with a window telling you what is secure, this should be taken for granted. However, the client appears to be convincing you of the fact. PureVPN has 2 advanced features in Ozone and Gravity. Ozone is their firewall which has inbuilt antivirus features. It doesn’t scan files for malware, but it does prevent them from reaching back out to the internet. Gravity extends on this and offers an ad-blocker and a safe search. It should be highlighted, these didn’t work all the time. These are available for Safari, Firefox and a VPN Chrome extension. This though doesn’t secure more of the system than the browser itself. Speed tests were the second area the service fell down during testing. This is disappointing for the network size they have and how long they have been in business. Although the customer support is 24/7 via Live chat and email, they are not overly helpful, and the answers are only taken from a script, it would appear. There were also a few too many “check the FAQ’s” as the reply. It also appeared for basic queries, the sales staff knew more than the support staff who were often too busy, or understaffed to fulfil requests. With still possible leaks in their service, and features which still don’t work reliably. It is hard to recommend them as an alternative. With the measly download speeds, there appears to be no area which can benefit.